The exhibition by Oskar Zięta during 4 Design Days went beyond the definitions of design and entered the world of art. 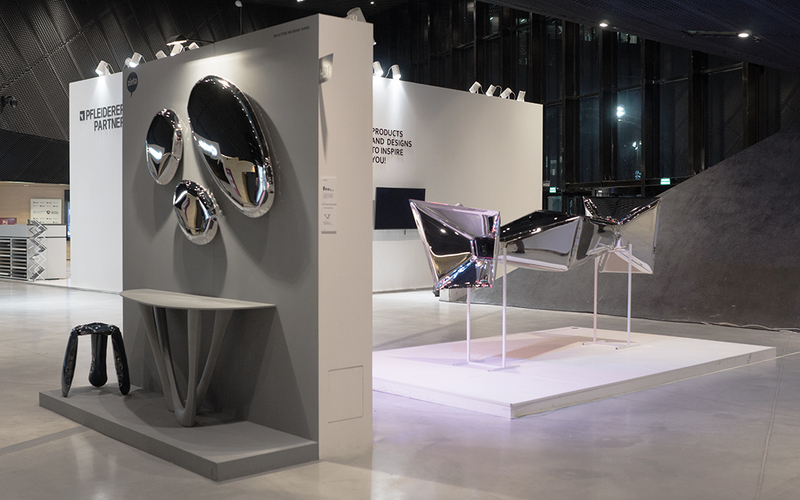 Interior objects such as Tafla mirrors and monolithic G-Console were accompanied by avant-garde forms. 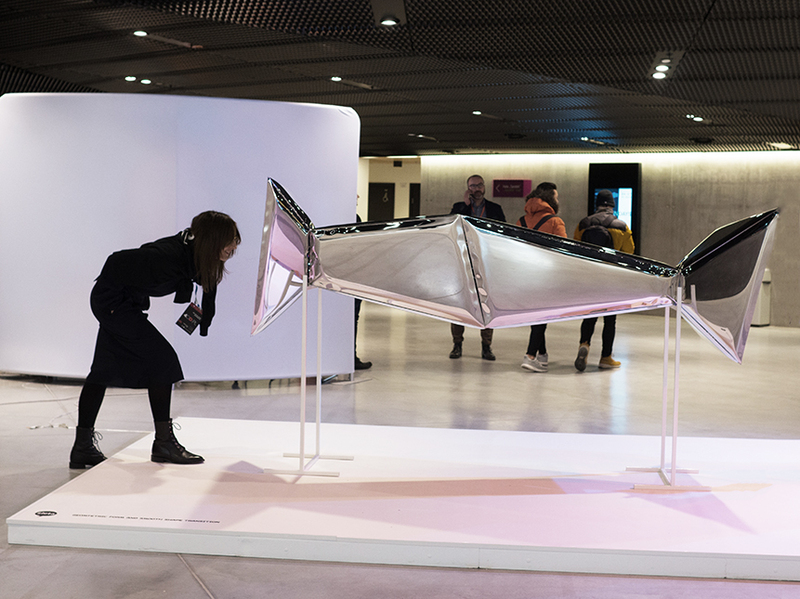 Presented works by Oskar Zieta, who is recognized as a Sculptor 4.0, were the combination of domains such as technology, art and architecture. 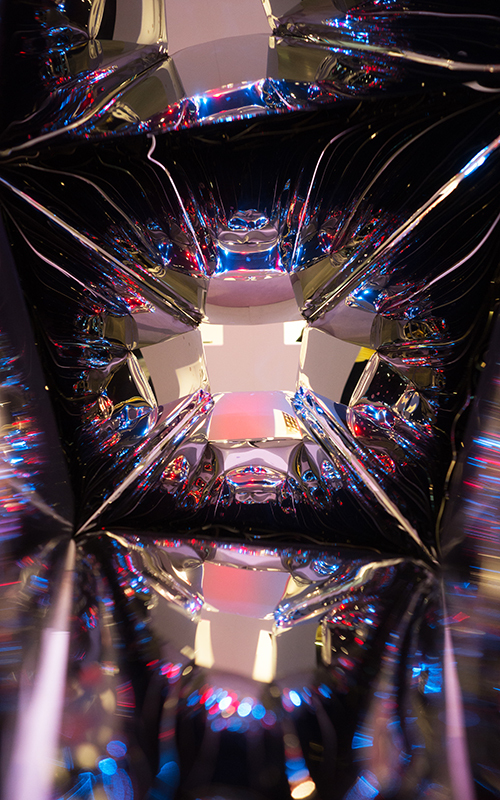 The heart of the exhibition was an intriguing installation called CRYSTALS – a form created from mirrored objects combining geometric shapes with smooth transitions and nusances. 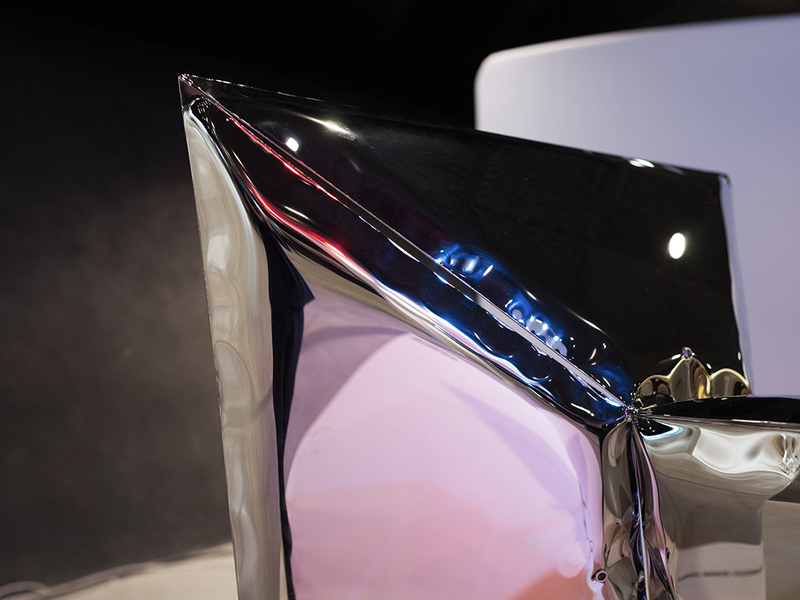 Polished surfaces refract light, creating a stunning game of reflections and shadows. The display wall contained prototypes and miniatures of the most important projects, among them NAWA – architectural sculpture nominated to Mies Awards 2019, WIR – 24-meter tall installation that is the highest construction made in free-forming, FIREFLY – the first light installation, decorating the latest investment by Skanska, Holm House in Warsaw and KONICZYNA – a clean form adorning Wrocław Business Park, which is a tribute of Echo Investment developer towards programs like “Kunst am Bau”.